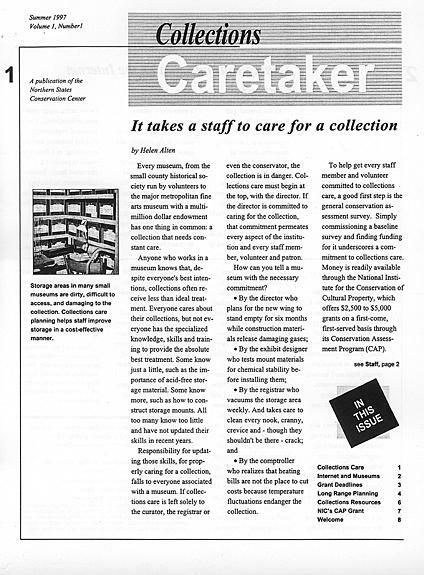 The care of each item in a collection is affected by the building, the environment, and the people in an institution. Careful planning and foresight during museum construction or expansion will greatly decrease later costs for environmental retrofits or conservation treatments. 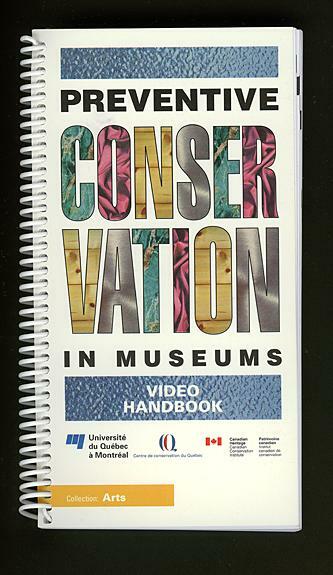 Understanding factors of deterioration by all museum or library staff becomes a cost benefit that should not be ignored. 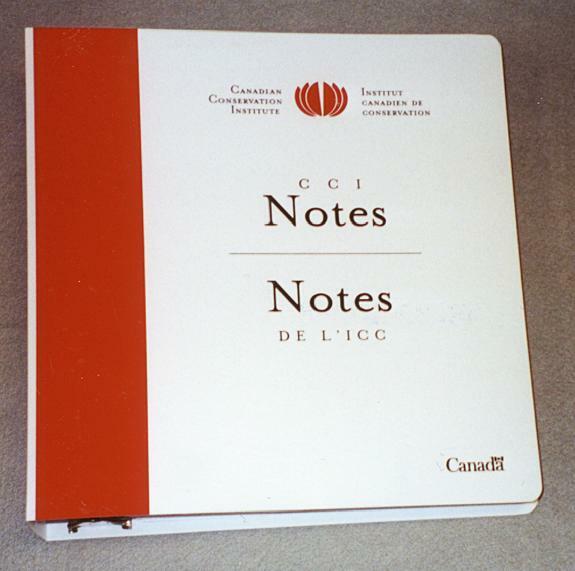 Not only are irreplaceable items preserved, but the general operating budget for the facility may be significantly reduced without damaging the collection. Also, it may be possible to avoid expensive improvements by using less expensive alternatives that are just as effective. Often staff dedication can greatly reduce damage from imperfect environments, too. 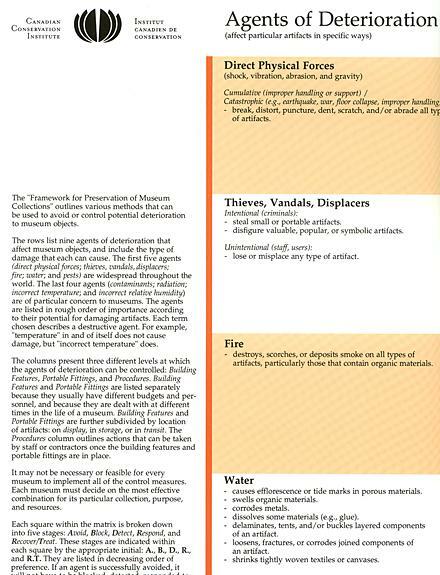 This section covers general preservation principles, new and expanded facilities, the environment and how it is monitored, artifact labeling, storage, exhibits, transport and staff handling procedures: all factors that affect the life of an artifact. Conservation Treatment Labels "...and everything old is new again."